Anyone who has read the ‘This is Me‘ page will know that in the last year I discovered that the freshest sushi I’ve tasted in London is at Atari-ya in Hendon. Seriously it is the best sushi. So when my sister and a friend were looking for dinner places locally, it was one of the first places we thought of, given that I was craving sushi anyway. However, unfortunately for my sister, she left booking a table to the last-minute (in Atari-ya terms) and attempted to get a table on a Thursday, for that Thursday. When a friend previously tried the same, he was promptly laughed at and told ‘you want table for Thursday? You book on Monday’. Instead we ventured to Tosa, a neighbourhood restaurant in East Finchley. It was recommended by a friend of my sister’s and when I checked out the menu online, I was excited to see yakitori (grilled skewers) as well as sushi, perfectly in fitting with the ‘low carb’ diet I had adopted only days earlier. 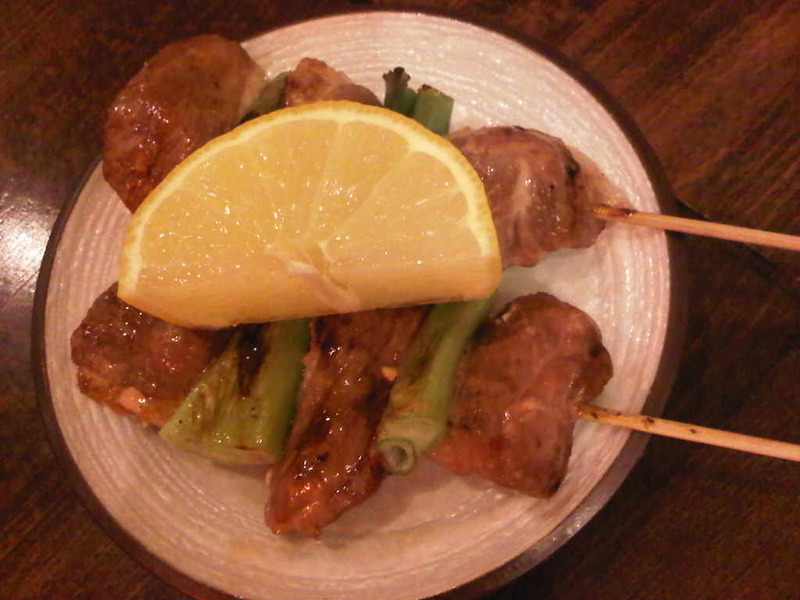 I was especially excited to see if the yakitori was anywhere as good as Bincho in Soho. We pulled up at the restaurant and found parking quite easily, as we walked in we were welcomed by a waitress who seated us at our pre reserved table. For a Thursday night it was fairly quiet, there was only one other table of 4. Maybe the locals in East Finchley prefer to save their eating out for a Friday whilst those Hendon party animals take Thursday to be the first day of the weekend! Within a few minutes of sitting down, our drinks orders were taken. We were then given a little too long to decide on our mains, in the end we managed to get the waitresses attention and place our order. Chicken Yakitori – Fairly well cooked, but was lacking a little flavour. 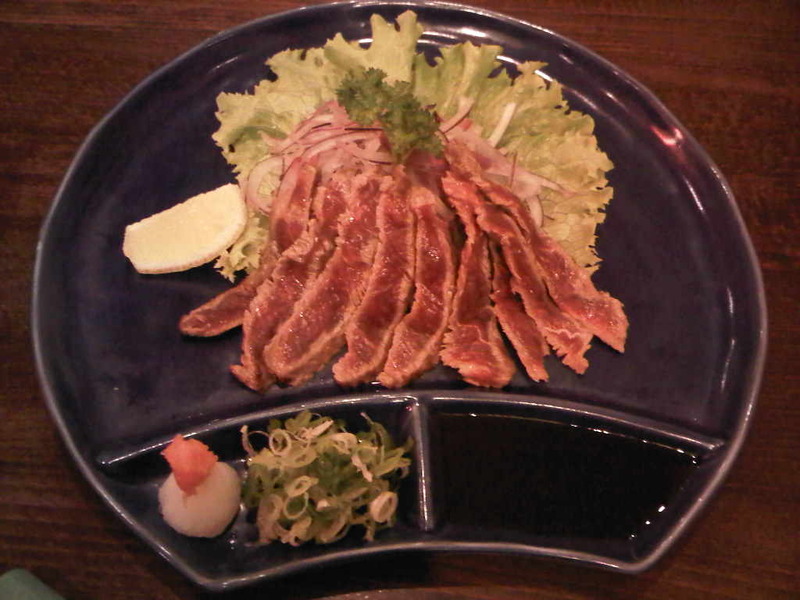 Duck Kamonegi – Duck is notoriously fatty, this was not only fatty but chewy too, none of us were overly impressed. Shiitake – This was the grilled mushroom, I guess it was as good as could be. Ebi Tempura Roll – This is something I think most sushi restaurants do well, I am yet to come across a bad one! Maguru Sashimi – Tuna Sashimi – this was nice, I felt maybe it wasn’t as fresh as the tuna sashimi at Atari-ya but again, I’m not only biased but being a little picky too. My sister and Miss S were both quick happy with the tuna sashimi. Unakyumaki – Eel and Cucumber Maki – This was a new one for me. The first time I tried sushi I was force-fed a California roll by my elder sister. I hated the taste of raw fish in my mouth and it took me several years to get over this fear. When I finally regained the confidence to give sushi another go, I was extremely picky about what I wished to try. Nothing ‘mushy’, no crab sticks and although I had never tried it, I decided to add Eel to that list. When this dish was ordered, Miss S described Eel as ‘sweet tasting’ and when it arrived, I gave it a quick taste. I have to say I was pleasantly surprised. Although I may not make it a regular on my sushi list, I will most definitely give it a go every so often! Spicy Tuna & Spicy Salmon Maki – Again I think these were mostly average, I didn’t find that they were particularly spicy, but pleasant all the same. Gyutataki – Last to come was the rare beef salad. This took some time to come, but from the picture below you can see it was a fairly impressive looking dish for this neighbourhood restaurant. The Beef was good, although it didn’t particularly have that much flavour. It was served with soy sauce on a bed of lattice and red onion. Good, but not the best beef salad I had tasted. On the whole, the food wasn’t bad at all. Although I’ve probably sounded really negative throughout this post, I was only being honest and although I would go back, I wouldn’t feel the need to go back right away!